Pixie Geldof by Steven Meisel. Once in a while, Franca surprises us with a socialite/celeb… but Pixie is very unexpected, absolutely no link at all. The cover doesn’t translate the “so young so cool” tagline well, utterly dull and boring. All Lara Stone issue shot by Inez & Vinoodh. Review of the eds here. Gossip Girl star Blake Lively. This is very refreshing, and what a good pick of cover star better than random actresses. Moreover, the makeup and the hair is A+. Very classy and grown-up, it shows a rather different side of Blake’s usual character and style. Cheryl Cole of Girls Aloud. Masha Novoselova. Though she is not really a coveted runway model, she is constantly booked for printwork— it’s where she really delivers. Franke Ryder. She is slowly making a comeback, after a rare runway appearance at Givenchy and the two campaigns (McCartney and Cavalli) last season. A celeb cover by the way of Victoria Beckham. Very photoshopped, and awkward, but the Loewe hat steals the limelight. “Lust, Caution” star Tang Wei. A blonde Freja Beha. 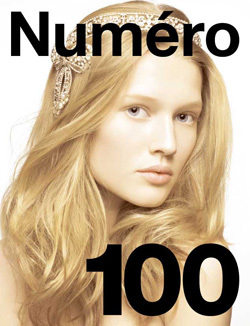 Inez & Vinoodh has been turning her Marilyn Monroe blonde, first for this cover, and then the Roberto Cavalli campaign. Sasha Pivovarova. Reprint from the Vogue US Dec 08 ‘Shine a light’ editorial by Patrick Demarchelier. Reprint of Vogue US Dec 08 Jennifer Aniston cover. Chinese movie star Liu Yi Fei. Daria Werbowy. Reprint of Vogue Nippon Jan 09′ cover. Ali Michael on her first Vogue cover. Lindsay Ellingson, also on her first Vogue cover. This only the very third magazine cover she has ever front. Brazilian catwalkers union— Daiane Conterato, Aline Weber, Bruna Tenrio and Viviane Orth. For such an epic issue, this cover is certainly not powerful enough though Toni Garrn looks really good and angelic. It was shot during that one free day between Milan and Paris fashion week last season. Love this cover, really amazing colour composition. Natasha Khan of ‘Bat for Lashes’. This must be one of the better covers in the recent months— eccentric, smoky and cool. BFL is such an amazing alternative music band and how suitable is it to have Natasha on the cover of Dazed & Confused. When indie music meets indie magazine, it’s match made in heaven. Brad Pitt by Chuck Close. 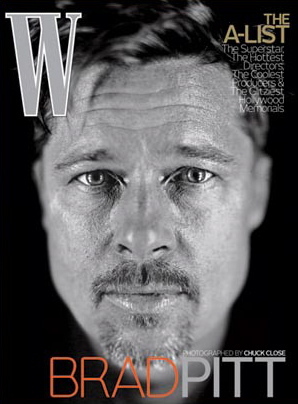 The people at W continuing their obssession of the Jolie-Pitts… damn shame. Talk about transformation… under the magic lenses of Mert & Marcus. Wooow! When did Korea Vogue started using recycled images? Has the global economic downturn taken a toll on Korea Vogue?!?! Chinese and Indian Vogue also made their very first reprint for March and Feb respectively, disappointing… because the content is so good. i can’t think of many stars who would dare to appear on a cover with zero make-up and have every flaw, pore and wrinkle all clearly laid out for the world to gawk at. ^ I agree with everything you said. I have the issue with me, it’s a fantastic issue in terms of editorial content. But the problem is firstly, W should drop their celeb obssession, they did Angelina a while ago already. A shot like this is wonderful, but it shouldn’t be on the cover of W, maybe somewhere else like Vanity Fair, Another Man, Rolling Stone or some mens magazine but not at W.
Secondly, Chuck Close can do much better than this. His signature pixelated/collage style would work wonders for a cover, because black&white full face portrait shots are so overrated these days. Thank god the editorials are fantastic. 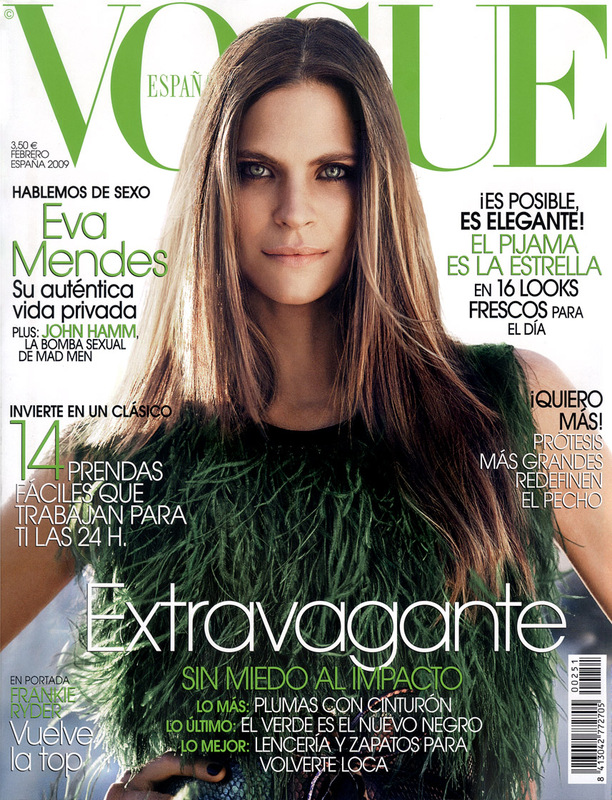 Hey, it’s stated here that Ali Michaels cover is from Vogue Mexico, but it’s actually from Vogue LatinAmerica!! they’re different!! yay, for Lindsay landing her first Vogue cover! it’s about time. a striking model and cover shot. love the free-wheelin cover text. odd that most covers are mainly in native tongue except for Vogue India’s strictly English cover text. i’m fascinated by reprints for their potential to not only capture completely differing moods and ability to catch ones eye but also the manipulation of different creative hands which often highlight contrasting cultural interests and perspectives. so many gorge Feb covers, so little money. really enjoyed this mag round-up concept! celeb obsession is here to stay for some time longer. at least brad pitt is interesting. vogue italia did surprise me in a very unpleasant way. 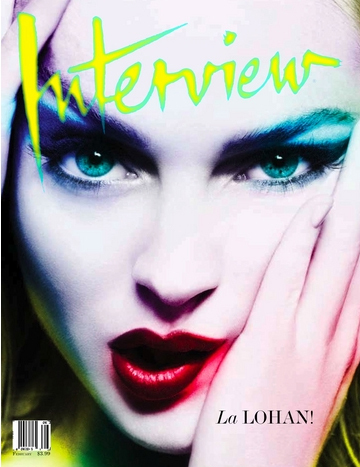 the interview cover with la lohan looks fabulous though. Blake of US Vogue caught more my attention. Anyway, let me just ask this, how many countries Vogue magazine had already reached? Thanks! So far Vogue US, UK, Germany, Nippon, Paris etc… but some have already been sold out. 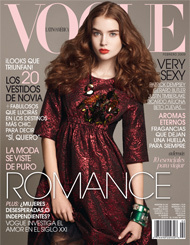 sam odd that most covers are mainly in native tongue except for Vogue India’s strictly English cover text. India is a forner colony of Great Britian. Life of Lai – it’s the Boracay Beaches!